Defining the Second Sophistic is no easy matter. 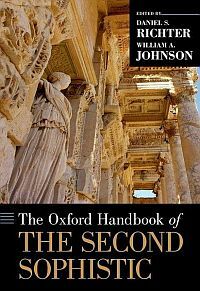 The excellent article by Ewen Bowie in the fourth edition of the Oxford Classical Dictionary (2012) calls it "the term regularly applied in modern scholarship to the period c. AD 60-230, when declamation became the most prestigious literary activity in the Greek world ... Philostratus' period saw an economic, cultural and even (in limited terms) a political recovery in the Greek world that has fairly been termed a renaissance and is even (loosely) called the Second Sophistic." 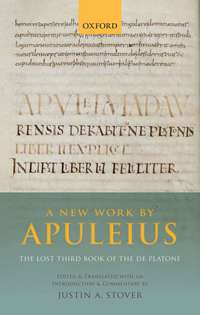 Even a description as capacious as Bowie's does not mention Latin literature, and yet the label of "sophist" has been applied to Apuleius (as by Stephen Harrison in this volume) and to Tertullian. The work under review is even more comprehensive, in that it "attempts to integrate Greek literature of the Roman period into the wider world of early imperial Greek, Latin, Jewish and Christian cultural production [...] situating these texts within their socio-cultural context" (7). It thus follows a trend in using "Second Sophistic" as a catch-all term for a variety of literary and cultural phenomena over a period of roughly two centuries (230 is surely too early for a cutoff date). The book is clearly organized. In the Introduction (I), the editors discuss "periodicity and scope," and justify their broad approach. At the same time, they avoid precise time-limits, and instead talk of "an era centered on the second century," though in fact the range of authors and topics corresponds closely to Bowie's limits of 60-230: thus Herodian gets a brief discussion but not Dexippus, who is now illuminated by the palimpsest pages from Vienna. The Introduction also contains two further chapters, one by Tim Whitmarsh on the antecedents of the Second Sophistic and the continuities with what some have called the "Third Sophistic" of Libanius, Himerius and others. 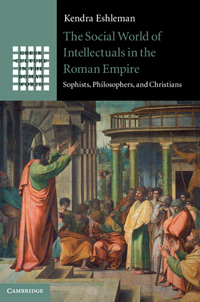 The other introductory chapter, by Thomas Habinek, is entitled "Was there a Latin Second Sophistic? "; the answer is "Yes, but not one that most Latin authors would care to admit to"(35). The introduction is followed by six parts containing forty chapters in all, "Language and Identity" (II), "Paideia and Performance" (III), "Rhetoric and Rhetoricians" (IV) "Literature and Culture" (V, the longest part), "Philosophy and Philosophers" (VI), and "Religion and Religious Literature" (VII). Most of the chapters are thematic, which allows both for treatment of general topics such as "Athletes and Trainers" (Jason König) and for groupings such as "Historiography" (Sulochana R. Asirvatham). Only Parts IV and V discuss individual authors, all of them mainly (Plutarch and Dio Chrysostom) or entirely active in the second century, and all except Fronto and Apuleius writing in Greek. 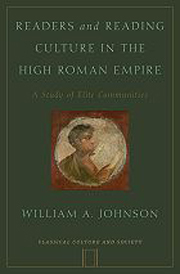 John R. Morgan discusses Chariton and Xenophon of Ephesus together, arguing strongly for a second-century date for Chariton; Heliodorus is mentioned several times, but is omitted as being of the third or fourth century (thus Froma Zeitlin, p. 405). 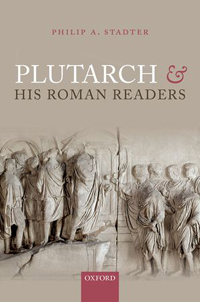 Given the structure of the book, certain authors inevitably appear in several places: thus Plutarch has two chapters of his own (Frederick E. Brenk, Paolo Desideri) but also gets a good share of "Miscellanies" (Katerina Oikonomopoulou) and "Platonism" (Ryan C. Fowler). Except for Whitmarsh's introduction, each chapter is organized with clearly marked sub-sections followed by "Further Reading" and "Bibliography." Thus the sub-sections of Lawrence Kim's excellent chapter on "Atticism and Asianism" (Ch. 4) are "Introduction," "Atticism in the Second Sophistic," "The Attic Lexica," "Atticism, Diglossia and Koinê," "Atticism and Classicism," "Varieties of Atticism," "Defining 'Asianism,'" and "Asian Style in the Second Sophistic." An advantage is that each bibliography is self-contained, so that the reader is not constantly referred to a gigantic bibliography at the end of the work; contrast the second edition of the Cambridge Ancient History, with its references such as "Syme 1971 (E 702) 68-9, and 1979 (A 94) II 533." The notes are deferred to the end of the book. The Index is excellent and clear, with most of the entries subdivided, and usually no more than five or so references attached to each entry or sub-entry. As a "handbook" should, this one makes an effort to be handy rather than trendy. There is very little jargon, and very few neologisms or nonce-words: Amy Richlin is an exception with "retrosexuality." Although the dreaded "undertheorized" appears on the first page of the Introduction, "theory" is absent from the index, and the overall tone is almost conservative - no subaltern studies, no queer theory, very little post-colonialism. None of the contributors ride hobby-horses or promote pet hypotheses. Certain of the chapters are very good indeed, and only one would have been better omitted, that of Daniel L. Selden on "The Anti-Sophistic Novel," mainly devoted to the Alexander Romance. A rich subject that this book omits is that of rhetoric in imperial-period inscriptions. Wilamowitz, who was active in the field of epigraphy throughout his career, gave a fine analysis of the "Asianic" style of an Augustan-period decree of Mantinea (IG V 2, 268; "Lesefrüchte 60" = Kleine Schriften IV 114-119), and his Griechisches Lesebuch included Nero's speech to the Greeks surviving on an inscription in Boeotia (IG 7, 2713; James H. Oliver, Greek Constitutions of early Roman Emperors no. 296). Inscriptions serve to illustrate the antecedents of the Second Sophistic that Whitmarsh discusses in his chapter, as well as its successors in Late Antiquity. 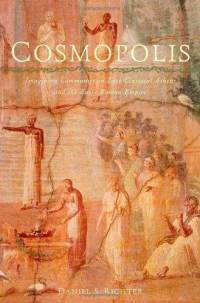 Despite this omission, if it is one, this book constitutes a rich source of information and good judgment on a wide range of Greek and Latin literature, and for such a well-edited and well-printed volume it is relatively inexpensive. It can be recommended.